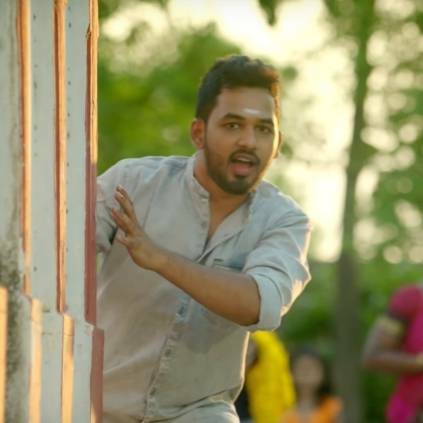 Hiphop Tamizha’s second film as lead actor, Natpe Thunai is releasing on April 4. It is produced by Avni Movies and directed by debutant Parthiban Desingu. The movie also stars Anagha, Karu Pazhaniappan, Pandiarajan and others in pivotal roles. Rohini Silver Screens is a famous multiplex in Chennai with great facilities and stars also visit the theatre to watch their films with fans. Now Rhevanth Charan, Executive director of Rohini Silver Screens, has posted about the show timings plans for Natpe Thunai on his twitter page. This sure is an exciting news for all the fans. Also, the bookings have now opened. Natpe Thunai is a Hiphop Tamizha musical which has cinematography by Aravinnd Singh and editing by Fenny Oliver. People looking for online information on Avni Movies, D Parthiban Desingu, Hiphop Tamizha, Karu Pazhaniappan, Natpe Thunai, Rohini Silver Screens, Sundar C will find this news story useful.